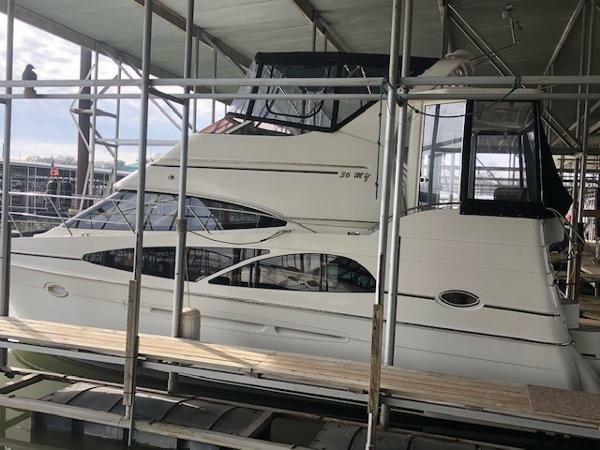 JUST SURVEYED!PRICED BELOW NADA!BOW & STERN THRUSTERS!FRESH WATER ONLY!LOW HOURS!TWIN CRUSADERS!GENERATOR & A/C's!FRESH BOTTOM JOB!This VERY clean Carver 36 Motor Yacht has always been kept under cover, serviced properly and in fresh water! Features a large master stateroom with head and separate shower, roomy forward guest stateroom with head with & shower, nice galley with refrigerator, microwave, stovetop, flat screen TV's, TracVision TV system, Kohler generator with 327hrs with fresh impeller, ice maker and refrigerator on flybridge, high powered Clarion sound system with MP3 plug, bow & stern thrusters, Garmin GPS, remote spotlight, windlass anchor, bow cushions and much more! 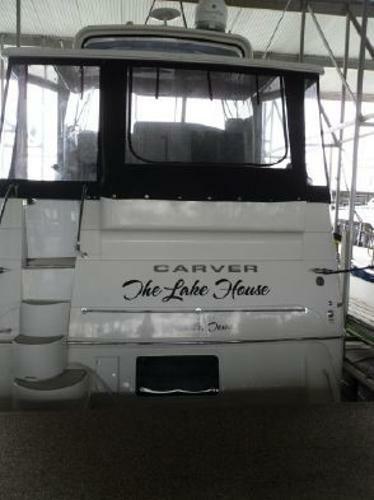 Powered by Twin Crusader 5.7MPI fuel injected direct drive engines with ONLY 217hrs! Complete bottom job completed in 2018! All recent service records available. Just surveyed February 2019 and turn key ready! 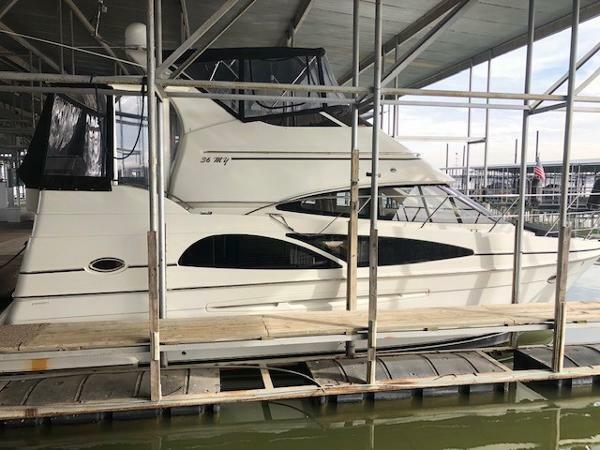 Located on Lake Lewisville only 20 minutes from the DFW International Airport. Shown by appointment only. Currently priced below the NADA book value with all options and new bottom job and canvas enclosure! Set your appointment today before this beauty is gone!SEE ALL THE PHOTOS AND 8 VIDEO ALL SHOT IN FEBRUARY 2019! !